My remote cabin/ham shack is: 110 miles from the nearest human being, 375 miles from the nearest highway and 200 miles from the nearest high-tension power line. Now that's my idea of a QTH, after living in a big city I'd settle for somewhere quiet! I just got my license about a mouth ago. I plan on getting me general in the next couple of weeks. 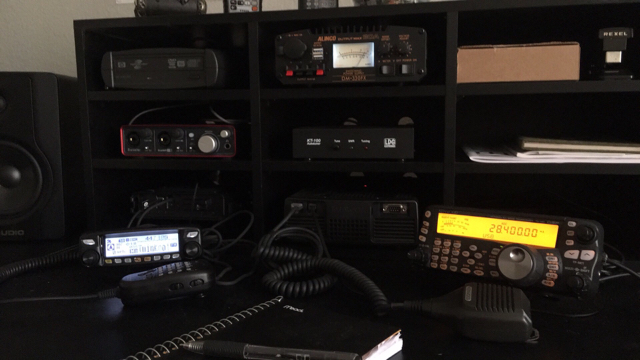 I just started my ham shack and I'm in an HOA. So here is my setup. My Station occupies a small area of our Guest Room/Office. 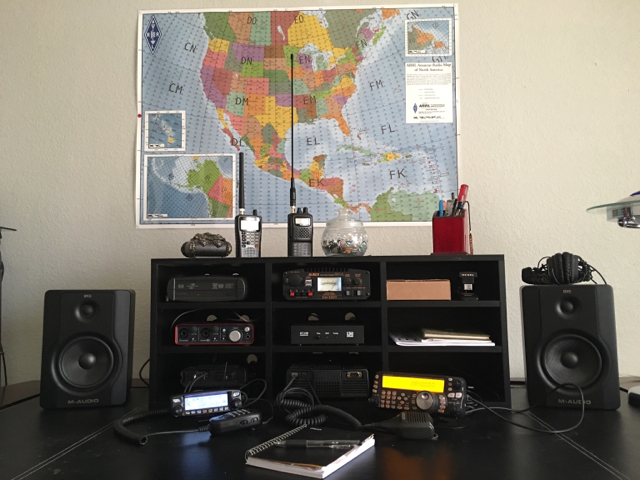 HF Gear consists of a Icom 7600, an Acom 600S Amp, an Elecraft KAT500 Auto Tuner feeding a OCF Dipole at 50 feet. Last edited by W2LEW; Sat 29th Oct 2016 at 13:30. I am moving in the next few months so i have most of the gear packed away as i dont have the space or time to use it. 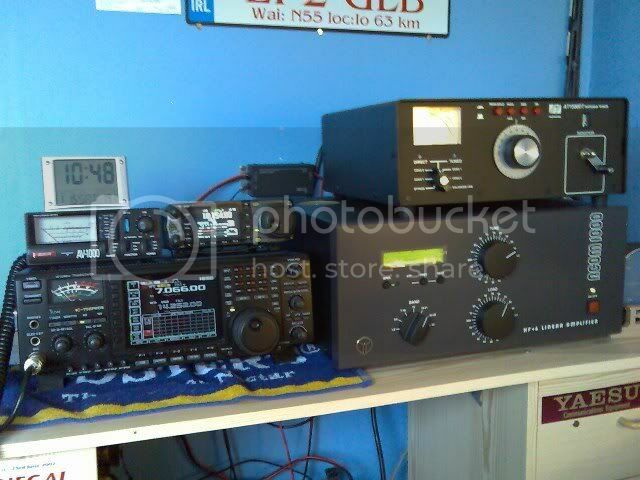 i have kept a few bits out to play with when i hear some intresting DX. Very nice and I've got that speaker too. Here's a view of my vintage shack! Last edited by vu2nan; Thu 8th Nov 2018 at 13:37. Amateur Radio show in Leicester - what happened to it? A map to show forum members location?